WEST CHESTER — The Chester County District Attorney’s Office (the “DAO”) is presenting a program on school shootings to parents and teachers throughout Chester County. The Chester County school districts are coordinating with the DAO on this program. 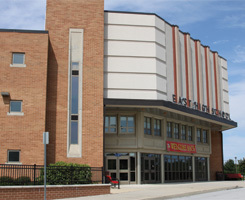 The next school shootings presentation is at 6:30 p.m. on Tuesday, Sept. 25, at West Chester East High School. The school shootings program is presented by District Attorney Tom Hogan and Downingtown Police Department Detective Andy Trautmann. District Attorney Hogan has extensive experience in dealing with domestic terrorism as a federal prosecutor. Detective Trautmann is both a SWAT commander and a former school resource officer, giving him a unique perspective on the issue of school shootings. Both District Attorney Hogan and Detective Trautmann have studied hundreds of active shooter incidents from around the world.